Constance Squires: Hardy, I am always interested in tracking what feels to me like the motivating impulse in a book—what drove you to write it. There’s a great sense of personal awareness in these essays and the sense of your own journey is a strong structural principle connecting them. How would you describe your motivating impulse for this collection? Hardy Jones: The motivating impulse was a self-education on Cajun history and culture, and as I discovered this information, then the writing began to focus more on me and my place in the culture. While I did some work via traditional research outlets, my greatest pleasure came from going into the field. I wanted to talk to Cajuns who were from a French-speaking world and compare and contrast their lives to my primarily English-speaking world. In this manner, the interviewees became mirrors for myself. In addition to educating myself, early on I saw my purpose as bringing Cajun history and culture to readers. This purpose guided me through the early drafts, but as I began the final revisions I wanted the book to entertain and be artfully written. Hopefully these different purposes melded in the book. CS: This may be a related question. Which essay came first? How did it come about and how did you begin to realize you had a collection’s worth of questions to answer about your own background? Was it a piecemeal project or did you know early-on that you were working on something larger? HJ: The essay that came first was “I Got Me a Baby Bull,” which also my first attempt at writing creative nonfiction. I wrote that essay in a workshop I took from Randall Kenan in the MFA Program at the University of Memphis. Initially, the essay was simply written to fulfill an assignment. But the essay received praise from my classmates and professor. At the time, I wrote fiction set in Louisiana using Cajun characters, but those stories were not nearly as strong as this essay. After writing “I Got Me a Baby Bull,” I began focusing on essays about Louisiana and fellow Cajuns. By the time that semester ended, I had an idea for the book that became People of the Good God. As the semesters unfolded, I realized that I would be able to use this manuscript for my thesis. Once that realization occurred, the project truly came together. CS: As a fiction writer, you know how delicate a matter it is to insert backstory into a narrative. How to give the necessary exposition without derailing the forward motion of the story? What’s the right balance? I felt like you were using those skills in these essays in how you provided the necessary historical background without letting it overtake the essays. Was this a struggle? How did you decide how much history to cover? Were you ever tempted to provide footnotes? HJ: Balancing backstory with the forward flow of the essays was always problematic, especially in the book’s middle essay “Rendez-vous des Prairie Cadiens.” That essay is set in the Jean Lafitte Cultural Center, so my task as author was to write about the place—which has great exhibits on Cajun history and culture—without boring the reader with a static essay. To make the essay more kinetic, I included flashbacks to family stories or experiences in my life to make the information from the Cultural Center come alive—supporting the abstract with the tangible. Midway through writing the book, I considered footnotes. In one way, footnotes would have been an easier way to provide historical information. However, I enjoyed the challenge of placing historical information in the essays, while maintaining an entertaining voice in the writing. CS: Do you think you’ll ever use any of these stories about your ancestors for fiction? Is there historical fiction about the Acadian migration, or about Cajuns hiding in the swamp to avoid fighting in the Civil War, or translating French during World War II, in your future? HJ: A decade ago, I started a novel based on Grand-grandpere’s experiences hiding in the swamp during the Civil War. I don’t have many stories about him, so I was creating a story based on a diaphanous figure. I only got a few pages into that story. But I do plan to return to it. Normally, when I write long fiction, I use more “real life” details to build the fiction upon. An example is my mom; she was the basis for the mother character in my novel Every Bitter Thing. As far as some of the other material, I don’t have any plans to fictionalize them. At this point, I feel as if most of that material has served its purpose as nonfiction. But I know better than to say never. CS: I loved that the essays had elements of the detective story about them. You were trying to determine the truth of certain apocryphal stories—was Grand-Grandmere a Cheyenne from Indian Territory?—and the way you proceeded to weigh the evidence was engaging. Did you deliberately organize the essays around these mysteries-to-be-solved? HJ: In a sense, yes, I did design the collection around mysteries to be solved. The first half of the book deals more with family and my personal experiences, the middle essay is a synopsis of Cajun history via the Cultural Center, and the subsequent essays deal with other Cajuns’ experiences in the middle and latter part of the 20thcentury. Once the collection had explored some of my questions in the first half of the book, I thought the rest of the book should incorporate others, thereby showing the variety in Cajun culture as well as similarities that run through all families. CS: What has been the response to People of the Good God from the Cajun community? I would think they’d love it. HJ: I have heard from some Cajun readers and one Acadian, and I was anxious to hear what they thought. As an author, it is one thing to place myself on the page, but writing about a culture casts an even wider net. But I am glad to report that I have heard comments such as: Reading the book reminded me of my life. As a memoirist, hearing readers say that the work reminded them of their lives is one of the best compliments to receive. CS: Finally, I fell in love with your mother reading this collection. She’s a character all the way through, and the essays really feel like an homage to her in many ways. Can you talk about her influence and the role she played in these essays? HJ: I like your phrasing, “an homage” to my mom, because in a sense the book is. Teasing out her history, I learned my own. As I mention in the book, her stories were my introduction to the culture, and as I wrote the book, she was present for some of the interviews. On a practical level, she helped me with some family history or putting me in contact with those who could help. Plus, she allowed me to use her gumbo, catfish coubillion, and chicken fricassee recipes. In the final revisions, however, is when I began questioning some of Mom’s stories about when she met Dad, why and how she left her first husband, why she returned for her other children; when I began working on those questions I feared that I might make Mom unsympathetic, but I felt that those questions added a layer of tension to the writing that the book originally did not possess. In the end, questioning some of Mom’s stories was necessary for me as an individual, a son, an author, and for the book. Hardy Jones is a two-time Pushcart Nominee, author of the novel Every Bitter Thing, and the memoir People of the Good God. His creative nonfiction has been awarded two grants. His short stories have appeared in the 2009 Dogzplot Flash Fiction Anthology, The Best of Clapboard House Literary Journal, Southern Gothic: New Tales of the South, and Summer Shorts II. He is the co-founder and Executive Editor of the online journal Cybersoleil, and he is the Flash Fiction Editor for Sugar Mule. 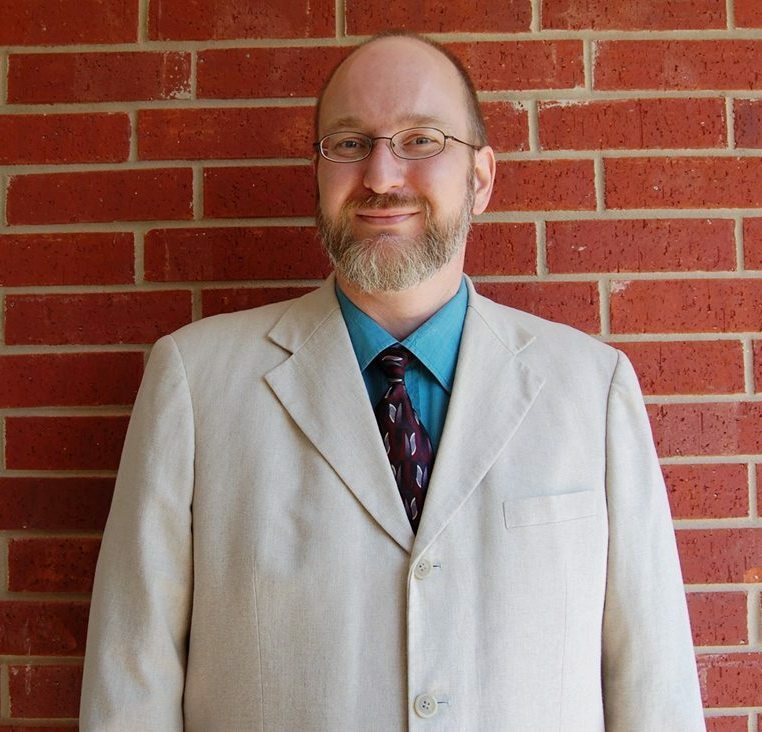 Dr. Jones is an Associate Professor of English and the Director of Creative Writing at Cameron University. He splits his time between Lawton, Oklahoma and Si Sa Ket Province Thailand. More information on Hardy Jones can be found here. Constance Squires’ first novel, Along the Watchtower (Riverhead) received the 2012 Oklahoma Book Award for Fiction and her second novel, Live from Medicine Park, is forthcoming. Her short stories have appeared or are forthcoming in Guernica, Shenandoah, The Atlantic Monthly, This Land, The Dublin Quarterly, The Rolling Stone 500: Better Writing Through Better Music, Arcadia, and elsewhere. Her nonfiction has appeared in The New York Times, Salon, The Village Voice, Largehearted Boy, and on the NPR program Snap Judgment. She teaches Creative Writing at the University of Central Oklahoma. You are currently reading An Interview With Hardy Jones on People of the Good God at BREVITY's Nonfiction Blog.